I was actually going to write about something totally different this week, but last night while I was putting the babies to bed I heard something that changed my mind. Since I’m helping people lose weight all the time, this should be something that I know, but to be honest, I’d never really focused on the actual chemical process of what happens when the body burns fat. Like most people, I’d just assumed it got burned off in the form of energy. That wasn’t the case. Apparently I wasn’t the only one that hadn’t really thought about it too much. It wasn’t until late last year (2014) that Prof. Andrew Brown and Ruben Meerman, from University of New South Wales, finally did the calculations on known biochemistry and published their study in the British Medical Journal. What do the “experts” think? Not only did they reveal the biochemistry of how fat gets broken down but they also revealed that most health professionals (doctors, trainers and nutritionists) had no idea what was really happening. Some though it was turned into sweat, urine or feces and others though it became muscle. Hindsight is 20/20 and when I thought about this, when you sleep you don’t use a lot of energy and are not using the bathroom (hopefully) or sweating away pounds from your body. Yet when people wake up, they are a few pounds lighter than when they went to sleep. Something else had to be happening. The carbon dioxide is exhaled by our lungs and the water is excreted in our sweat, urine, feces and other bodily fluids. That is a lot of air you need to breathe to lose weight. They say their calculations do not take into account that under certain conditions fat may be converted to ketone bodies and used for energy. Should this change the way you lose weight? While Brown and Meerman may have just finished their research a few months ago, the link between oxygen and fat loss isn’t exactly new. The major studies they looked at were from 1949 and 1960. 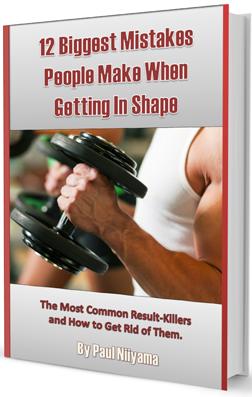 There has also been books like Jumpstart Your Metabolism and Oxycise! that have written about the benefits of breathing for weight loss. If you are simply breathing in more oxygen than your body needs that is hyperventilation and if you do that for too long you’ll eventually faint. So exercise is still key because you need to give your body a reason to inhale more oxygen. Yes, cardio will make you breathe faster, but don’t forget the weights. If you’ve ever done a good set of squats or deadlifts, you know how much harder you are breathing when you are done. Let’s also not forget your nutrition. Removing carbon from the body is the key to losing fat. If you are taking in carbon from your food faster than you are burning it, you will gain weight. So diet is still key. This also means that building muscle is still important for fat loss. More muscle will require your body to get more oxygen throughout the day. This means you’ll be oxidizing more fat and exhaling more carbon dioxide, even while resting. So while I thought this was interesting it doesn’t really change too much of what you need to do to lose fat. You still need to eat healthy and work out. Yup, the hard work and consistency still matter. Nutrition is still number one and if you want to learn how lose weight fast, it’s going to come down to eating the right foods. This does, however, clear up some misconceptions that I and many others had about what happens to fat when you “burn” it. So, I hope you enjoyed this bit of biochemistry. If you liked my summary and want to take a look at the original article from the December 2014 edition of the BJM, you can check it out here. They go over the science with a bit more chemistry involved. I hope this knowledge has inspired you to eat better and work out more. As always I’d love to hear from you. Check me out of facebook and twitter and leave me a comment or question. Thanks for reading. Now get to the gym and SMASH IT!! !